The best restaurants tend to be those recommended by locals. For a foreigner, I think it’s safe to say that a recommendation from a native who happens to be an expat or immigrant to your own home country is an even better bet. I call this the restaurant that is the best of both worlds: it makes the locals happy but is not too deviant from an outsider’s palate. That is exactly what happened when friends took us to one of their friends’ newly opened restaurants in Mysore, Karnataka (state), India. Oyster Bay served the best restaurant Indian food I’ve ever eaten. 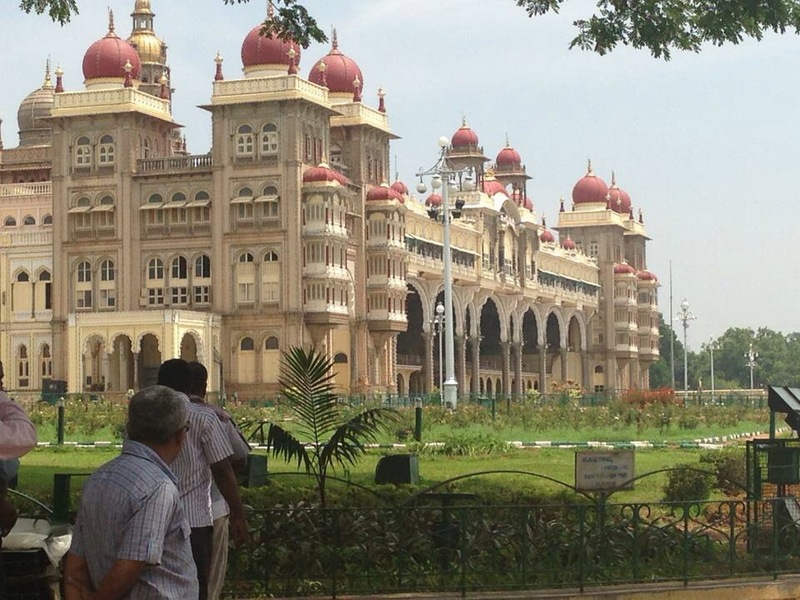 Many – if not most of you – may know nothing about Karnataka. It is one of India’s 29 states, in southern and southwest India, and it’s also the name of its state language. High-tech Bangalore (Bengaluru locally), with which you may be more familiar, is its capital and largest city, but Mysore was its historic capital and seat of its kingdom. In fact, the King of Mysore still exists nominally and he himself was onboard one of my flights within India. I’m still waiting to meet you, King of Mysore! If you are a yogi and practice Ashtanga yoga, Mysore may ring the proverbial memory bell. Ashtanga originated there, and Mysore Ashtanga remains a specific thread of yoga, so it is ripe with numerous ashrams, including those that cater to foreigners. If that is your jam, then you may in fact make a trip to Mysore, and thus you should keep reading this profile! End of context lesson and self-promotion! After several days traveling around Karnataka, including a very eerie experience at the grand – if not creepy (think: The Shining meets India) – Lalitha Mahal Palace Hotel, Oyster Bay was unexpected in its classy, urban chic ambience and resort feel, with even more amazing food. While Indian cuisine has a special place in my heart already, I can safely claim that this was the best Indian food I have ever eaten at a restaurant. The kitchen toned down the spice level for some of my friends’ more delicate palates, and even without the spice (which I missed, personally), the quality, flavor, and texture was outstanding. The best dish by far was the dal (lentils). I’m not sure which type of dal it was, makhani? Regardless, both carnivores and vegetarians alike absolutely raved about that dish. In fact, Oyster Bay’s lentils/dal were even better than the so-called house specialty dal served at Bukhara at the ITC Mukaya in New Delhi, which is supposedly one of the best restaurants in all of Delhi. Bukhara’s dal did not even come close to the creamy, rich texture of Oyster Bay’s. Typically, most murgh (chicken) dishes in India are bone-in chicken, so it was quite nice to have boneless chicken breast meat in several of the curries. Of those we tried, I give highest praise for the Murgh Saagwala (chicken and spinach) which was very flavorful and colorful. This dish is one of my favorite Indian dishes; I probably order it 70% of the time I eat Indian. In other words, this version was exceptional. My friends who were Karnataka natives themselves loved this food – though it couldn’t compare to Mom’s! In addition to the quality and flavor of the dishes, the facility itself was designed and built as an open air concept. In hot India, that may seem a bit odd, but the shade and overhead fans ensured it felt as if we were at a temperate resort. 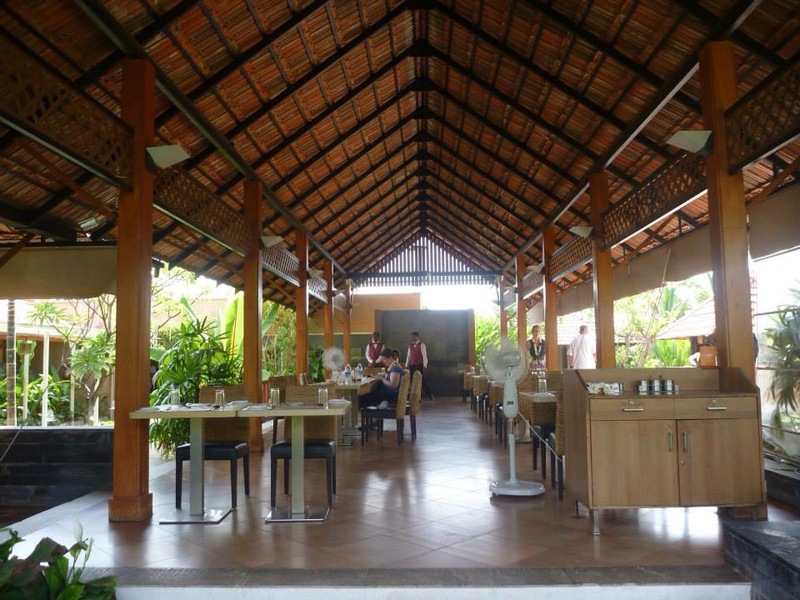 Facilities at Oyster Bay were outstanding for Mysore, and the service was wonderful. The only downside was a brief water outage in the washrooms and a faucet that broke off in one of my friends’ hands. Overall, I found this restaurant to be a welcome respite after a long day of sightseeing at Mysore Palace, no matter how hot the weather!